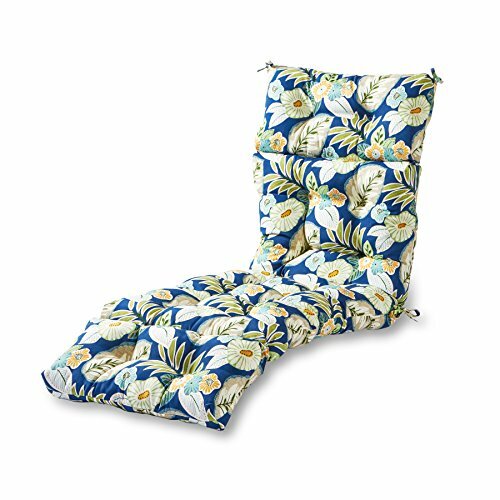 Four-section deluxe chaise lounger cushion. Cushion measures 72 x 22 x 5 Inch. Circle tacks create secure compartments which prevents cushioning from shifting. String ties secure cushion to outdoor furniture. Mitered-edge construction. Cushion dimensions are +/- 2 inches. Please note product will arrive in a slightly compressed state; please allow a few days for product to expand to final size listed in description.